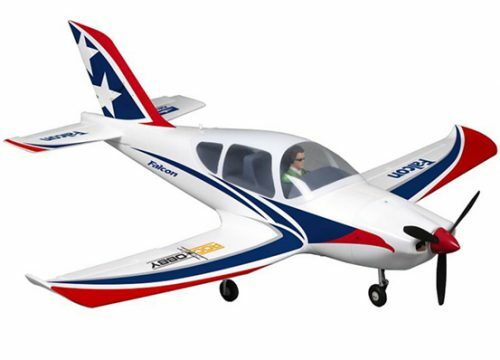 E-Flite Habu 32x – one only available. This kit has a damaged box so is only available for pick up from our store in The Gap Brisbane. Shipping is not available. The E-flite Habu 32x DF jet takes electric ducted fan (EDF) performance and engineering to new heights. Designed around the E-flite Delta-V 32 80mm fan unit and high-speed DF32 brushless motor, its hyper-efficient intake and exhaust ducting deliver a potent power system that produces a large amount of thrust available as quickly as you can move the throttle stick. The swept-back wing and horizontal stabilizers enhance the sleek appearance. The result is a sport EDF that will give even experienced jet jockeys goose bumps. The Habu 32x DF boasts a level of fit and finish that is every bit as impressive as its performance. Even more satisfying is the short amount of time you’ll need to get this hot-rod flight-ready. The recommended E-flite accessories and Spektrum radio gear can help provide the smoothest build possible, as well as flight performance even the discerning modeler and expert pilot can appreciate. The swept-back planform of the wings and horizontal stabilizers feature full-balsa sheeting and genuine UltraCote® film covering. The wings attach to the fuselage using carbon fiber blade spars that fit into aluminum sockets for a rigid structure that can handle incredible speeds and G-loads. The quick-release hatch makes swapping out batteries and accessing electronics easy. Nose and belly hatches make access to the nose gear and EDF simple. A tinted clear canopy adds greatly to its “real” appearance in flight. Pilot figure not included.